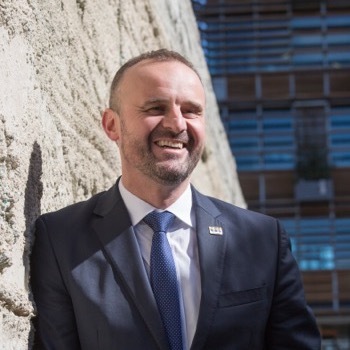 Silver Anniversary messages from our Patrons: ACT Chief Minister Andrew Barr MLA and H.E. Mrs Erica Schouten, Ambassador, Embassy of the Kingdom of the Netherlands. Congratulations to Qwire on 25 fantastic years celebrating the best of Canberra’s diverse musical community. Having been Qwire’s patron since 2011, I am delighted to celebrate this milestone with you and send the best wishes of the ACT Government at this significant time. As Canberra has become Australia’s most LGBTIQ-friendly city, Qwire has grown from seven singers to a thriving group of over 80. You are at the heart of our diverse city. Qwire is now highly regarded within the straight and queer community not only for its vocal strength and performances, but also for its relaxed and social atmosphere. Qwire’s passion for singing was very evident in last year’s postal survey, singing on a cool September morning at Canberra Bus Station to support the rainbow bus’s arrival. I thank Qwire for the important role you play in promoting diversity and inclusion in this city and connecting the local LGBTIQ community. Enjoy this wonderful celebration.